2:11 AM low 0.1 ft.
2:46 PM high 1.1 ft.
How to reach: To reach the tidal bench marks from the Post Office in Grand Isle, proceed 3.9 km (2.4 mi) NE along State Highway 1, then 1.3 km (0.8 mi) NE along a paved road, then 0.2 km (0.1 mi) NW along Semper Road leading to the U.S. Coast Guard Station. The bench marks are located within the U.S. Coast Guard compound. 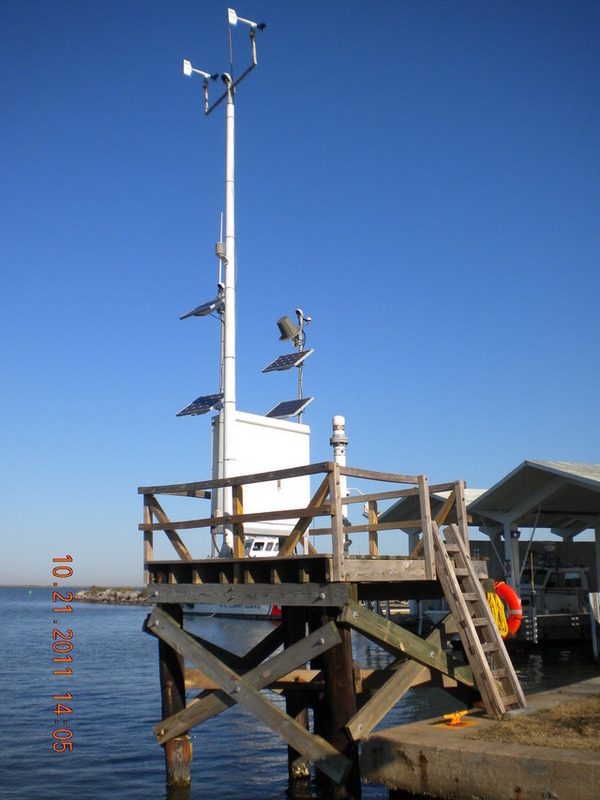 The tide gage is located next to the boat house.